Was married to Gary Murphy for 25 years and had 2 wonderful kids. Lived in CO. for a couple of years and moved back to take care of my parents. Taught in Silsbee and Lumberton. Retired and married to Paul Broussard. We live in Bridge City with 3 grandkids with 2 more on the way. KATHY KEOWN Murphy has a birthday today. 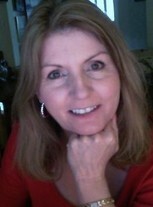 KATHY KEOWN Murphy updated profile. View. KATHY KEOWN Murphy changed profile picture. My cuz Diane. Love her so much.